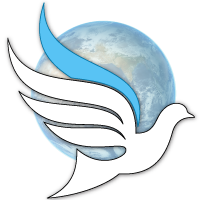 Friends Peace Teams is a Spirit-led organization working to develop long-term relationships with communities in conflict around the world to create programs for peace building, healing and reconciliation. Our programs build on extensive Quaker experience combining practical and spiritual aspects of grassroots peace work. Opportunities are available for people from any life stage, economic status or culture to develop their gifts and follow their calling to peace work. The amazing work of our initiatives — African Great Lakes, Asia West Pacific, and Peacebuilding en las Américas — relies on you. Your donation counts — contribute to our General Fund, AGLI, AWP, PLA and receive our semi-annual newsletter PeaceWays. Your involvement counts — sign up for our email news below and share stories of peace with your family, friends and colleagues. Or send a check to Friends Peace Teams, 1001 Park Ave., St. Louis, MO 63104 — memo: specify General Fund, AGLI, AWP, or PLA.